Your field program is crucial to your success. "Boots on the ground" has given way to "calls in the field," and your phonebank could use every efficency it can get. 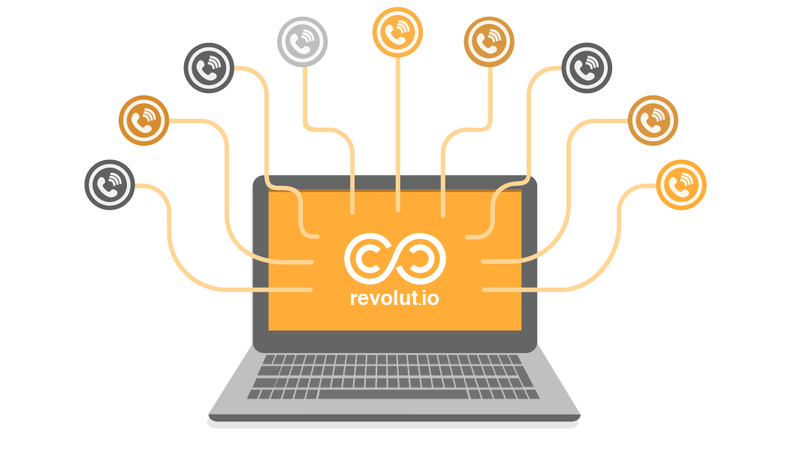 Revolut.io's Online Call Center gives you the infrastructure to make use of every volunteer. Transcend your geography; move your phonebanks to the cloud and monitor your callers progress in real-time. Not every volunteer will be able to travel to your phonebank. Do you turn down their help, or find a solution that allows you to manage callers from anywhere in the country? Revolut.io's Online Call Center uses cloud-computing technology to provide you with a modern, efficent solution, allowing you to make the most of your most important resource - your supporters. Change every caller's script with the click of a button. 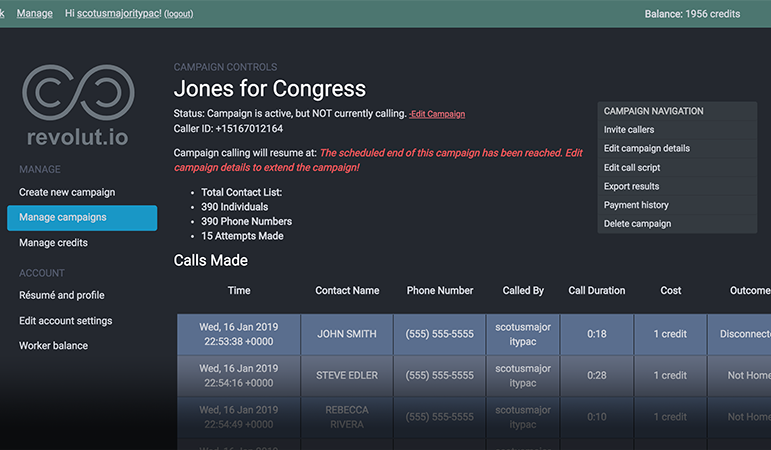 Manage and monitor your campaign from anywhere, and free your staff from endless data management tasks so they can focus on growing your campaign. Remove the guesswork from your phonebanks. Leave the burner phones behind and say hello to a call center that scales with you. With one flat rate for calls, you'll never have to worry about phone capacity again. Our technology allows all your calls to come from a single number, and can be used with your verified phone line. Keep your volunteer's information private and move all callbacks to one central line. Looking to grow your cold call fundraising? Revolut.io can customize a donor onboarding ramp, allowing your callers to send donation fulfillment links via email or text, or even transfer pledged donors to a safe and secure touch-tone payment process. Looking to improve your phonebanking? Contact us below and set up your campaign today!